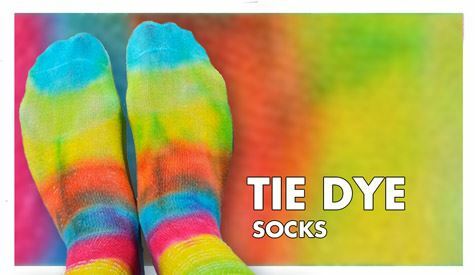 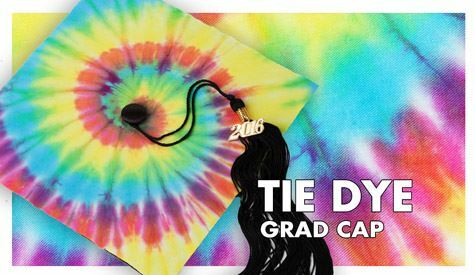 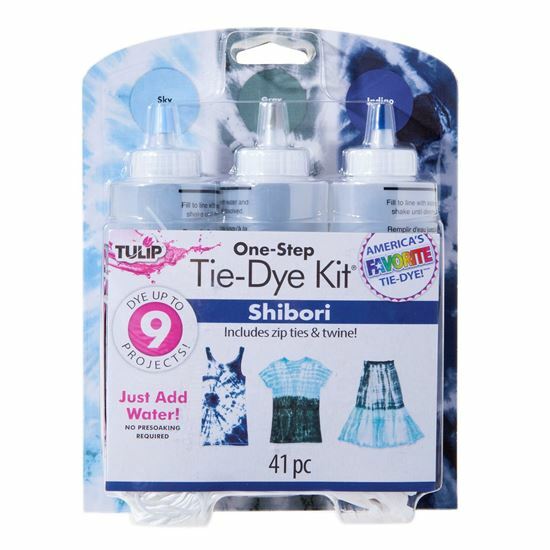 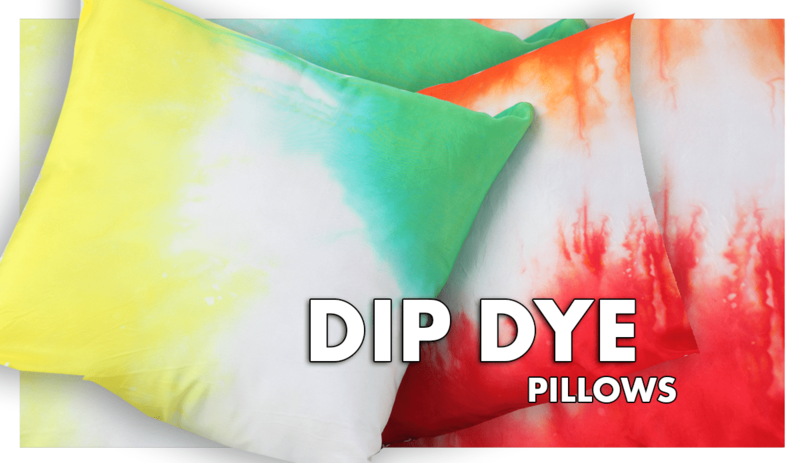 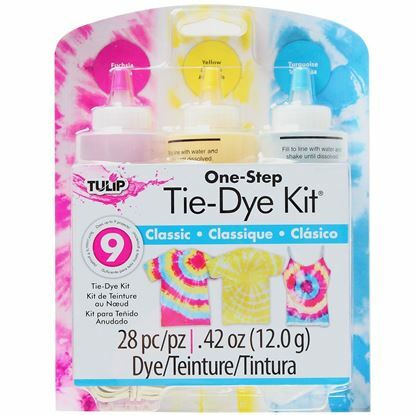 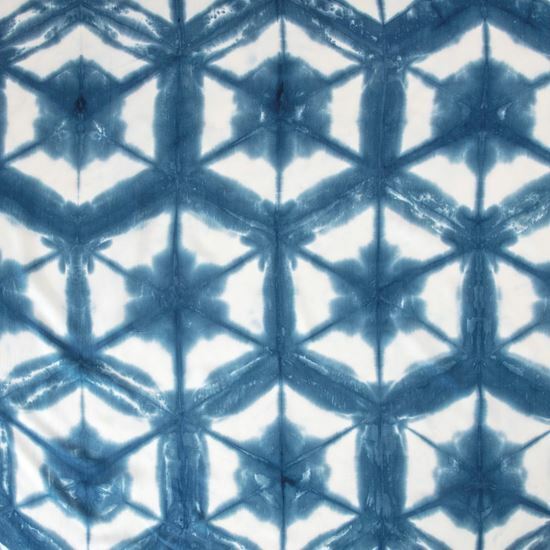 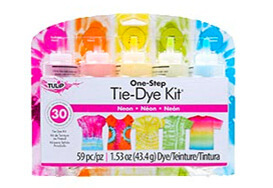 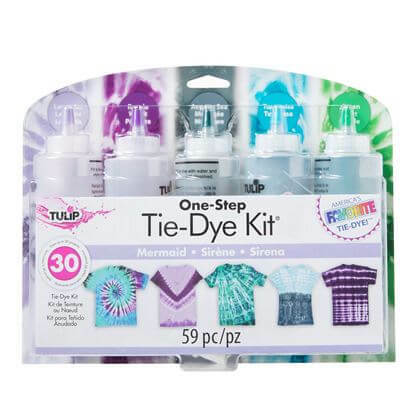 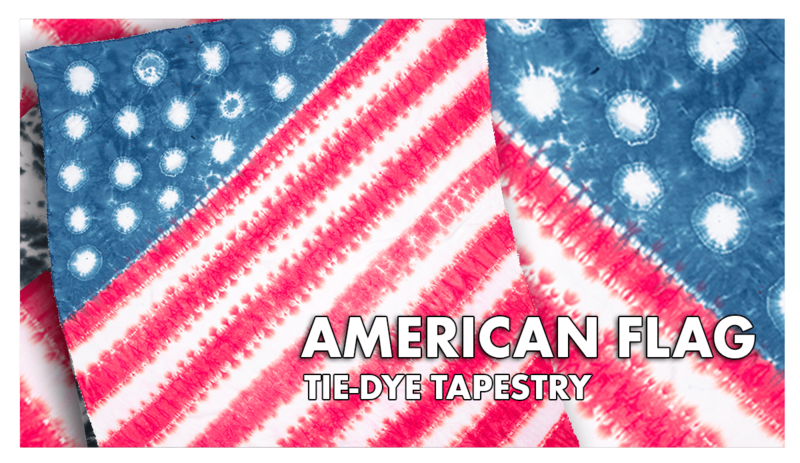 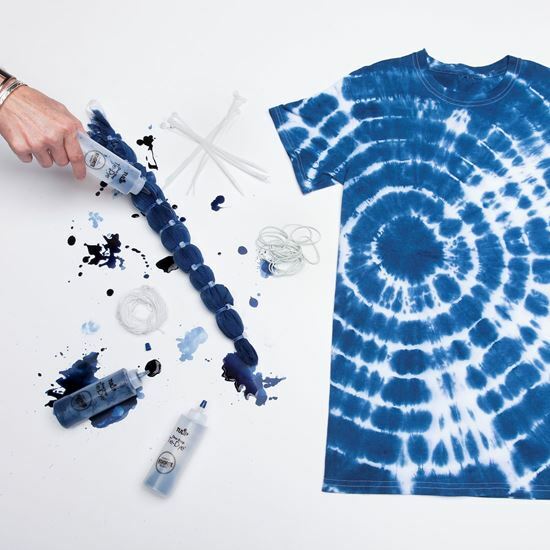 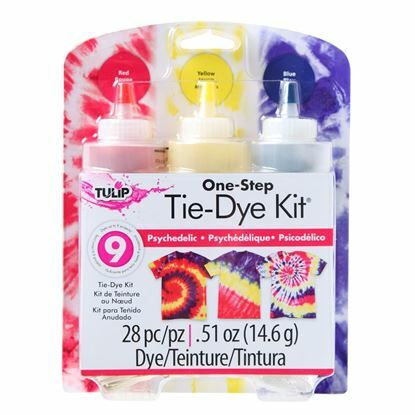 The Tulip One-Step Shibori Tie-Dye Kit is ready to help you create artsy effects on fabric! 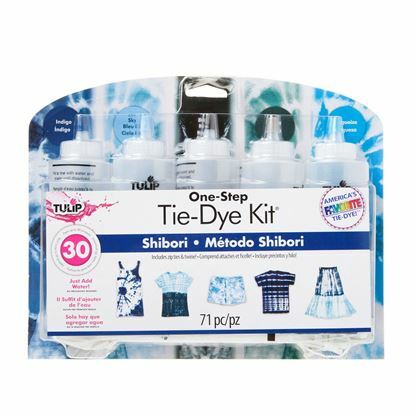 Stocked with three bottles of One-Step Dye in cool shades (Sky, Gray and Indigo), twine, zip ties, rubber bands and an inspiration guide, this kit is perfect for exploring the art of shibori tie-dye techniques. 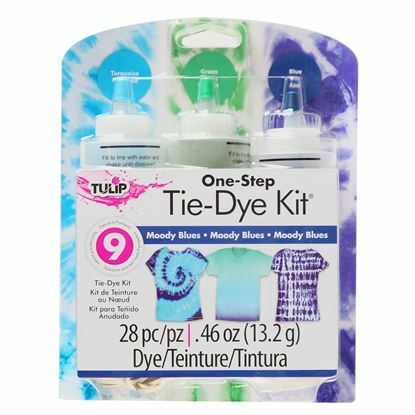 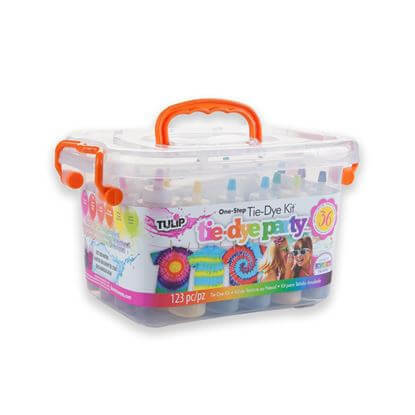 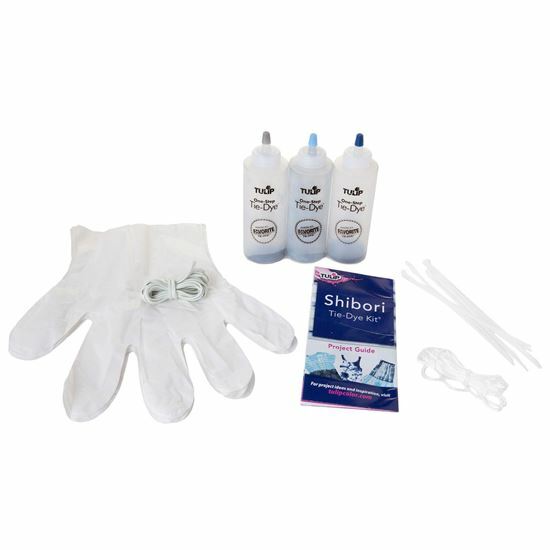 Kit includes enough dye and supplies to create up to 9 projects.